On May 29, 2012 the “Center for Strategic Litigations” HR NGO organized the presentation of the “Report on the results of monitoring over implementation of recommendations of the European Committee for the Prevention of Torture and Inhuman or Degrading Treatment or Punishment (CPT) by the RA” which reflected the outcomes and the results of the monitoring and research process carried out in the frame of a project supported by Counterpart International Armenia and US AID. The aim of the event was to present the results of the monitoring in this way drawing the public attention towards the course of implementation of international obligations committed by the State. In the frames of this project CPT Delegation reports prepared in the result of visits have been studied in detail and recommendations found there have been outlined. Afterwards, the responses submitted by the RA Government were thoroughly observed and information requests have been sent to all corresponding institutions of the Republic of Armenia aiming to obtain additional information about the CPT recommendations implementation progress. 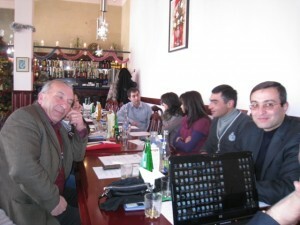 Among the attendants were representatives from Counterpart International Armenia, Group of Observers implementing public surveillance, and other NGO members and journalists. 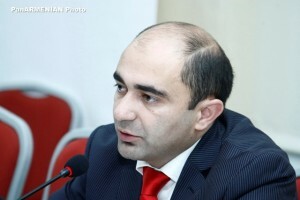 The report may be useful for the Office of RA Ombudsman, observation groups implementing public supervision over closed and semi-closed institutions of RA, employees of closed and semi-closed institutions, lawyers, NGOs and individuals working in the field of human rights, as well as international organizations. 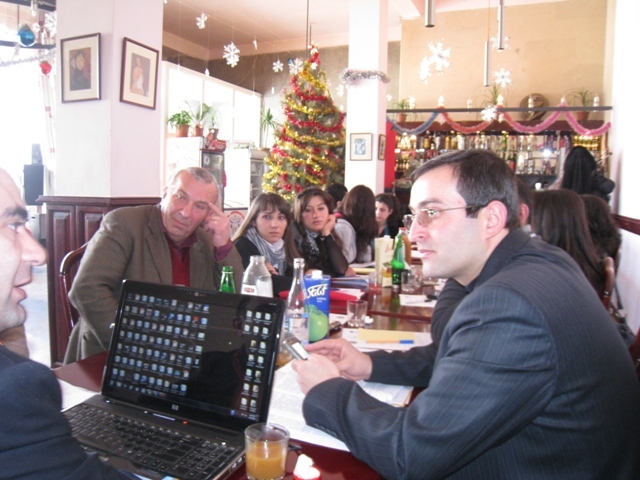 From February 4-5, 2012 “Center for Strategic Litigations” HR NGO conducted a two-day training entitled “European Convention for the Protection of Human Rights and Fundamental Freedoms: articles 7, 8 and 9 and the additional protocols of the Convention”. The training was organized for advocates, practicing lawyers and Law students of Lori region, within the framework of “Supporting Human Rights Cases through Legal Education” project, supported by the US Embassy Public Affairs Section and the USAAA. 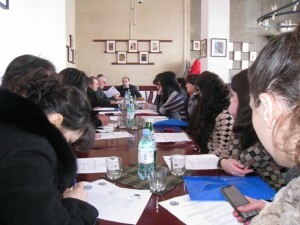 The training included vivid examples from real cases regarding the articles of the Convention that provide legal punishment for the violation of the right to respect for one’s private and family life, his home and his correspondence, right to freedom of thought, conscience and religion, also all the rights that as additional protocols supplement the Convention. The training discussed all the possible methods for applying to European Court for the cases that are under proceeding. 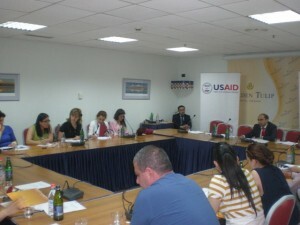 The advocates also suggested discussing the recent changes in the Law on Advocacy in Armenia. In the end of the training the participants completed evaluation forms that show the productivity of the training. On 26 January 2012, Front Line Defenders launched its 2012 Annual Report on human rights defenders, which highlights global trends and developments in the situation of human rights defenders in 2011 and analyses the situation in each region of the world. The Report highlights the fact that while international media and public attention focused on the dramatic events unfolding across the Middle East and North Africa, elsewhere repressive governments continued to respond to any challenge to their power and privileges with violent repression. The Report is based on Front Line Defenders’ work in support of human rights defenders at risk. In 2011, Front Line Defenders issued 256 urgent appeals on 594 human rights defenders at risk in 70 countries; it provided 189 security grants and trained more than 470 human rights defenders. Overall, more than 1380 HRDs benefited from Front Line Defenders’ protection support in 2011. On January 14-15, 2012 “Center for Strategic Litigations” HR NGO conducted a two-day training entitled “European Convention for the Protection of Human Rights and Fundamental Freedoms: articles 3 and 13 and the procedure for applying to European Court of Human Rights in case of their violation”. The training was organized for advocates, practicing lawyers and Law students of Lori region, within the framework of “Supporting Human Rights Cases through Legal Education” project, supported by the US Embassy Public Affairs Section and the USAAA. During the training a real case that was litigated in national courts and was being prepared to be submitted to European Court of Human Rights was presented and discussed, which illustrated the violations of the 3rd and 13th articles of the Convention. The participants shared with their experience and gave recommendations regarding the case. Furthermore the application form for applying to European Court of Human Rights was presented and discussed. Within the frames of the project the specialists of the organization will also provide with practical assistance to advocates for preparing the cases litigated in national courts in order to submit to the European Court of Human Rights.